SmartQuant is a financial software company developing end-to-end algo trading infrastructure for quantitative hedge funds and institutional trading groups. 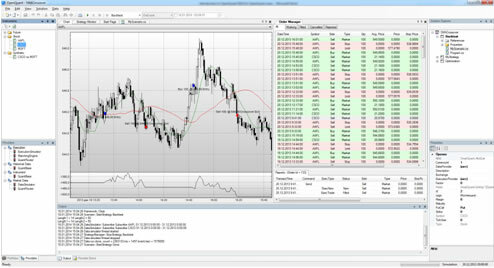 OpenQuant and its next generation, OpenQuant2014, SmartQuant's current flagship product, is an Algorithmic and Automated Trading System (ATS) Development Platform. OpenQuant features an IDE (Integrated Development Environment) that provides quants and traders with an industrial strength strategy research, development, debugging, backtesting, simulation, optimization and automation. QuantDesk is a complete end-to-end solution for a quant fund of any size. 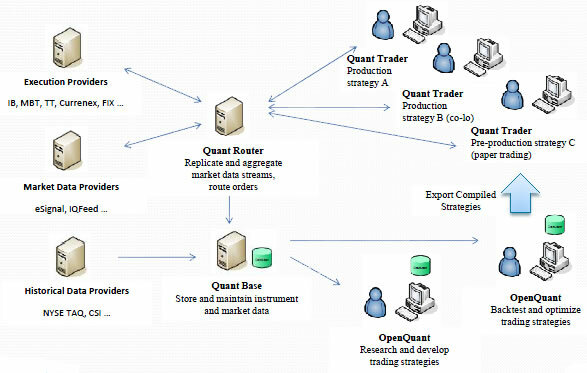 It includes OpenQuant IDE, QuantRouter (algo execution server with feed replication, consolidation, aggregation and smart order routing), QuantBase (market data server with real time feed capture and centralized historical data management), QuantTrader (production deployment engine for automated trading strategies developed with OpenQuant) and QuantController, a server application which complements the QuantDesk to enable an efficient management of SmartQuant's distributed trading architecture. QuantWeb is a cloud version of QuantDesk with web browser front-end. Register and get a free QuantWeb demo account. The main difference between the quantitative and the discretionary trading style is the systematic nature of the quant approach. 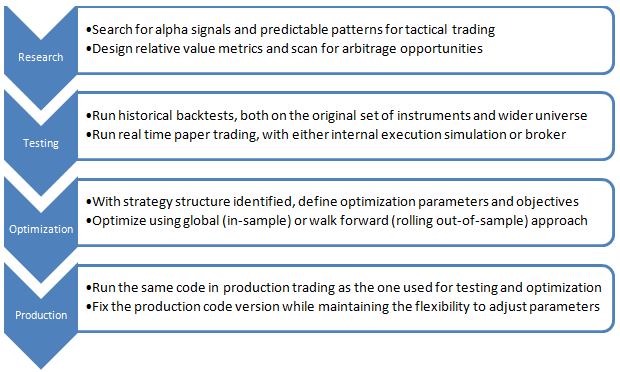 While discretionary traders are like artists, quants tend to run a complex production process, and therefore need an industrial-strength infrastructure without which they cannot maintain the necessary degree of systematic discipline. Unfortunately, being a start-up does not exempt one from this rule. But fortunately, one does not really need to build the whole factory from the ground up. Using the SmartQuant algo trading infrastructure allows the emerging managers to focus on their primary objective, which is the development of investment strategies, while benefiting from a reliable framework to implement and deploy them in the market. Sure, we still spend a lot of time experimenting, trying and testing different strategies. Having a good development environment does not necessarily allow you to skip that step. The real advantage of a well designed framework is in cutting the time between testing and production to a minimum, and in the scalable nature of the infrastructure, which can grow with the firm from managing a small seed capital to truly institutional levels. With a system like this, emerging managers can feel on a level playing field while trading in the same market as much larger competitors, and can fully realize the inherent advantages of being agile and adaptive.